AWASS is a very specific Private Military (or Security) Company. Recently formally registered in 2010, our roots go back to 1992 where we provided a complete training solution (now considerably upgraded) via a Military Close Quarter Combat (CQC) system for the Malaysian Armed Forces, also known as TTS (Tempur Tampa Senjata). Our main mission is to provide tested, integrated, specially tailored, and managed turnkey solutions in the form of Warfare and Security programs to peaceful governments, especially those in the Islamic or Developing country category. We do not market our solutions to private institutions or companies, with very scant exceptions. Our subject matter experts are dedicated to bring effective and efficient solutions for our sovereign clients in a rapidly deployable and sustainable package. We hold ourselves to the best achiveable standards re ethics, morals and commitment. Should you want to know more about how we can positively assist your Government to improve it’s tactical and intelligence readiness please contact us directly or via your authorized agent or representative. 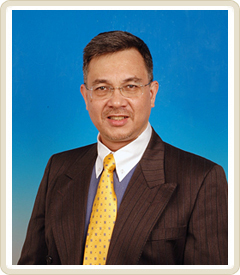 Dato Sri LTC (Rtd) Dr Alif Aiman Abd.